4 Best Tools To Run Linux Apps On Windows | GUI Tricks - In Touch With Tomorrow! 4 Best Tools To Run Linux Apps On Windows - GUI Tricks - In Touch With Tomorrow! Linux is one of the most powerful operating system which every coder prefers to use. It's special because Linux provides such benefits and features that Windows or Mac OS doesn't offer. So that's the reason. But Linux is not home supported. Everybody can't use or understand it and due to the other benefits of Windows OS, people like to set Windows as a default operating system. Most people are there, who want to use both operating systems together. Actually, you can't run both OS together, but kindly you can use Linux supported applications on Windows operating system. 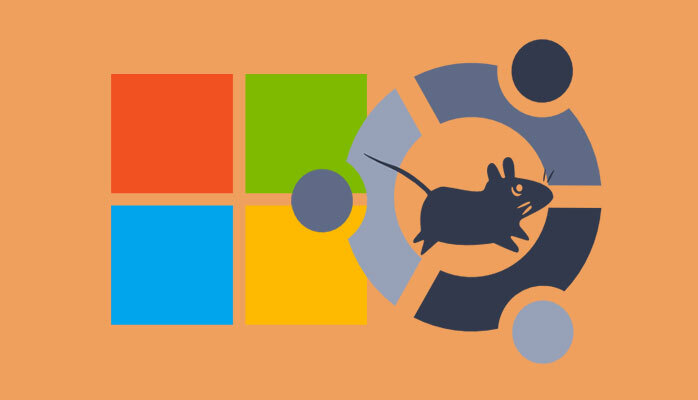 So here are 4 best tools to run Linux applications on Windows operating system. So if you wanna try them on your Windows then feel free use below mentioned tools and run Linux apps on your Windows. Cygwin is an open source tool which offers to run Linux applications on Windows operating system. This tool is very fine and best to run native apps of Linux also on Windows. But you've to re-build them, if you want to run them on Windows. The tool is available for both 32 and 64-bit versions. 32-bit users can get this tool from here and they can be used to verify the validity of this binary by using this public key. 64-bit users can get their own version from here and they can also verify by using this public key. It's an official installer for Windows users. The tool is applicable for Windows Xp, Vista and 7. It would be risky and won't run on Windows 8 and more latest versions. You would be able to install, but you can't reboot into Ubuntu. So make sure before the installation that it'd be run or not? Still, if you're using Windows 8 or 10, so you can try but before doing anything else, please follow the instructions and read installation guide in detail. Visit this Ubuntu official link. Here you can get guides about the installation procedure and you can also discuss problems, suppose if you ever face. This is another old Ubuntu-based system tool. It's very compatible for Xp users. The app is applicable for Windows 2000 based systems (2000, XP, 2003, Vista, 7 "32-bit versions only"). The technology is very similar like a virtual machine. While using it, you will experience this app as a virtual machine. It's not just for development. This app runs almost all Linux applications without modification. So try this another one and get officially by visiting andLinux.org. Ulteo is a virtual application which supports Windows remote desktop services and Linux hosted desktop and applications sessions. The app is compatible for every version of Windows OS and anybody else can run Linux easily on their desktop with any other operating system as well. More other virtual support apps are also available, but Ulteo is best on my views. So start now virtualization on your desktop and get Ulteo officially from here. So these are some best and very compatible tools for every user. First three listed tools will help you to run Linux apps only, but last one is for virtualization. So must try them and give your opinions via below comment. If any other app is also best to run Linux apps on Windows, so must share and tell us about them. Well! if you find here that the article is very helpful, so don't forget to share with others.